The silhouette of wf35 is also used as the background element in a supplemental set design, wfx2. 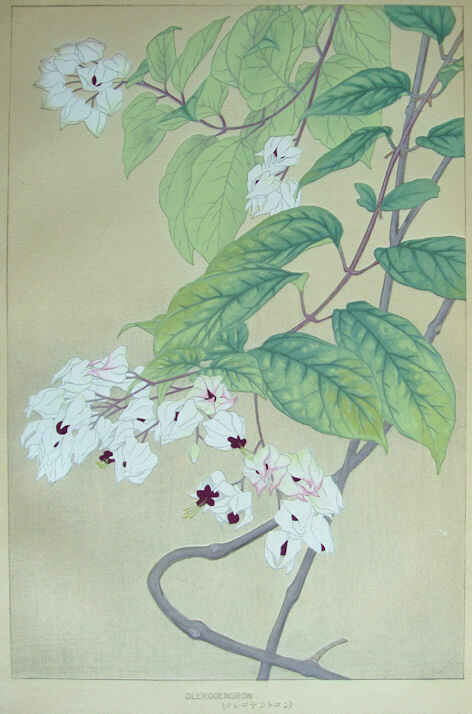 Often called Clerodendron (or Bleeding-heart Vine, Glory-bower Vine), the Latin name is properly Clerodendrum. This particular species is Clerodendrum thomsoniae which is native to tropical West Africa.